Path Finder – you’ve got your chance. 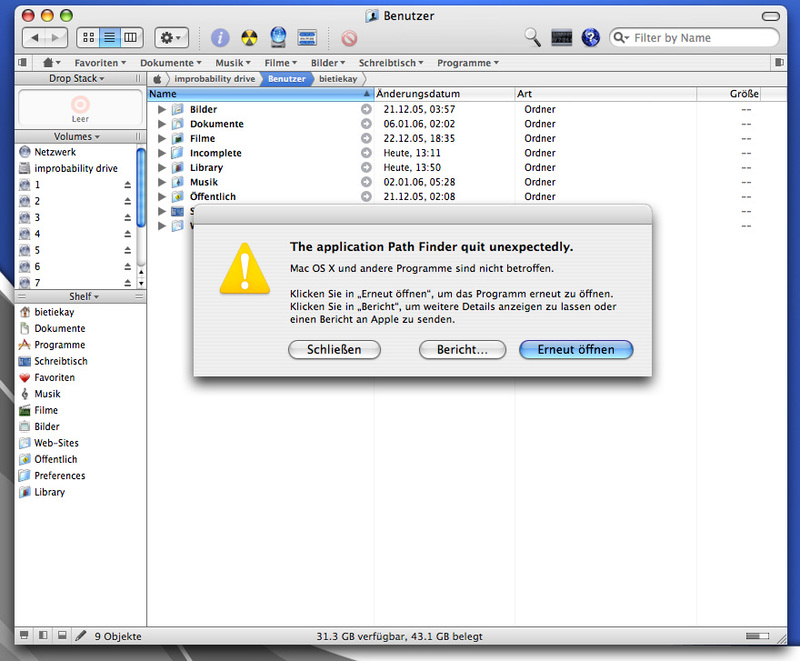 So there was the news that an alternative finder for MacOS X is out for testing. It’s called Path Finder and supposed to do several astonishing things. In my case it just crashed seconds after I made the first click. And that is – well – I’ve got rid of it. I am not willing to use a tool that is supposed to handle my data with care but instead crashed just instantly. You can try it. I’ll maybe try again – when they would come up with a stable version.